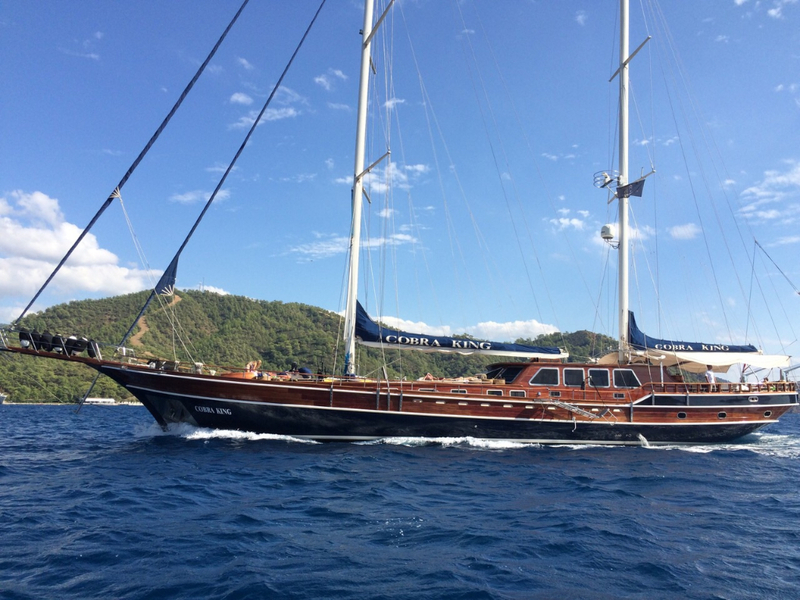 Cobra Yacht is a leading yacht building company based in Bodrum, Turkey in the Eastern Mediterranean that is credited for some 25 highly popular and successful wood-based and steel yacht construction projects. 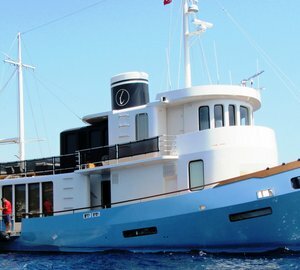 This eminent yacht builder boasts of more than 30 years of experience in boatbuilding and specialises in the construction of wooden sea vessels and superyachts that are made of steel alloys. The range of sailing yachts, motor yachts, superyachts and megayachts that were constructed by Cobra Yacht are compliant with the performance and safety specifications and standards set by MCA and RINA. There is a selection of Cobra charter yachts below. However, for more information and a personalised list of superyachts that best suit your needs, style and your preferred destination, please contact our brokers here. Cobra Yacht manages a dynamic team of skilled specialists and technical personnel and manufactures a wide range of megayachts and superyachts in its sprawling 4,000-square metre production facility that can handle motor vessels and sailing yachts of various lengths and sizes. In recognition for its superb track record and competencies, the company has received various commendations and awards from reputable bodies and agencies such as Lloyds. One of the most important yachts built by Cobra Yachts is the beautiful 43m Sailing Yacht Cobra Sultan. Amongst the most distinctive features of this high-end yacht construction project is the integration of elegant interior and exterior designs that retain classic elements in what could be considered as a contemporary character in the design concepts applied on such construction project. 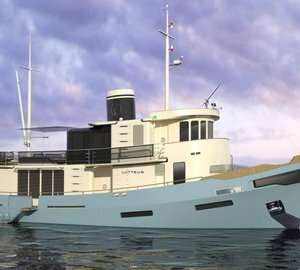 Aside from the actual construction works, the company’s team of designers, naval architects and engineers was also tasked to prepare the design templates and work plans for the same project. This high-end motoryacht comes with a 33.4-metre waterline length and an LOA of 45.3 metres. Cobra Yacht is credited for the completion of the construction and launch of some of the most successful megayachts and superyachts today. 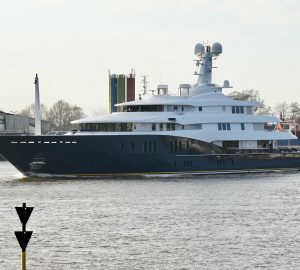 Among its notable yacht construction projects are the sailing yacht Aegean, charter yacht Infinity and Cobra Sultan yacht. The luxury charter yacht Infinity, a 45.3-metre high performance sailing yacht, was the result of the superb design concepts, work plans and excellent craftsmanship of the design specialists and craftsmen of Cobra Yacht. 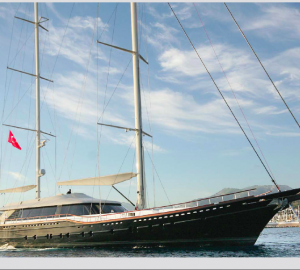 This high-end motor sailing vessel was constructed by highly-skilled engineers and craftsmen under the employ of Cobra Yachts using the cold-molded mahogany and was declared compliant of the specifications for RINA class and standards of MCA. This impressive and elegant motor vessel features a 9-metre beam, a 230 tonne-displacement and a 4.20-metre draft. It is powered by two 45-KW Westerbeke generators and draws power from its 650-horsepower Volvo Penta twin engine. It submits a 14-knot maximum speed, an 11-knot sailing speed and a 12-knot cruising speed. The Infinity has 280 square metres of aggregate sail area. Below is a selection of outstanding Cobra Yacht charter yachts. For more information and a personalised selection of yachts, that suit your requirement, style at your preferred destination please, don’t hesitate to contact our brokers here.